This building is located a few steps from the Piazza on King Street. 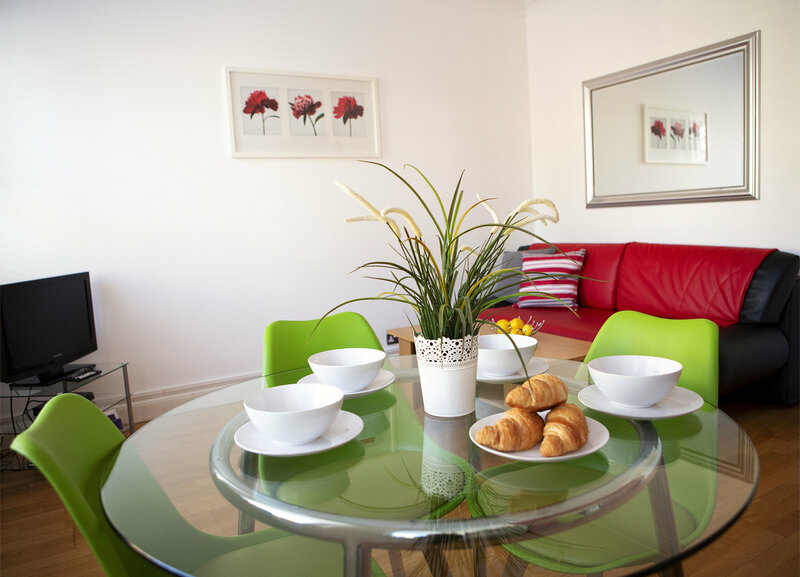 It contains four recently refurbished bright and spacious one-bedroom flats on the 1st, 2nd, 3rd and 4th floors overlooking King Street to the front and the pretty St Pauls Churchyard to the rear. (Please be advised that the windows in the fourth floor apartment do not overlook the street, they are skylights. However, the London Eye can be seen in the distance). 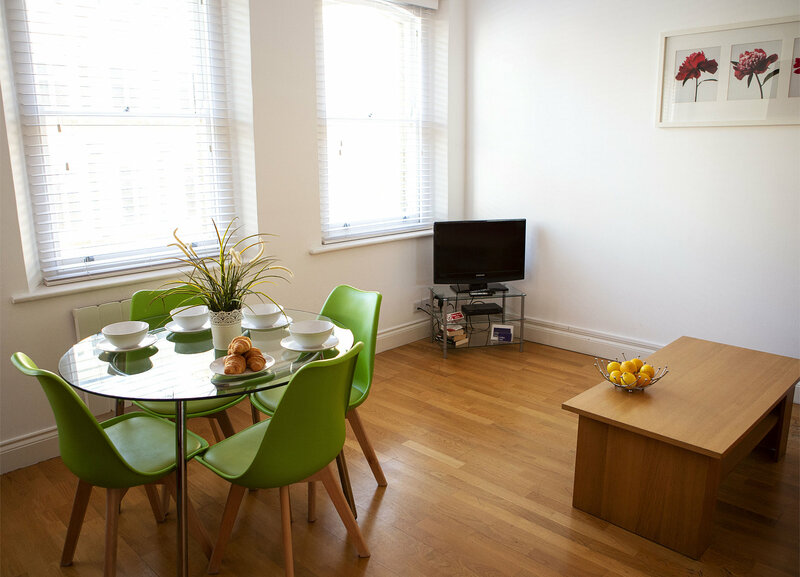 It lies equidistant from Covent Garden and Leicester Square Underground Stations. 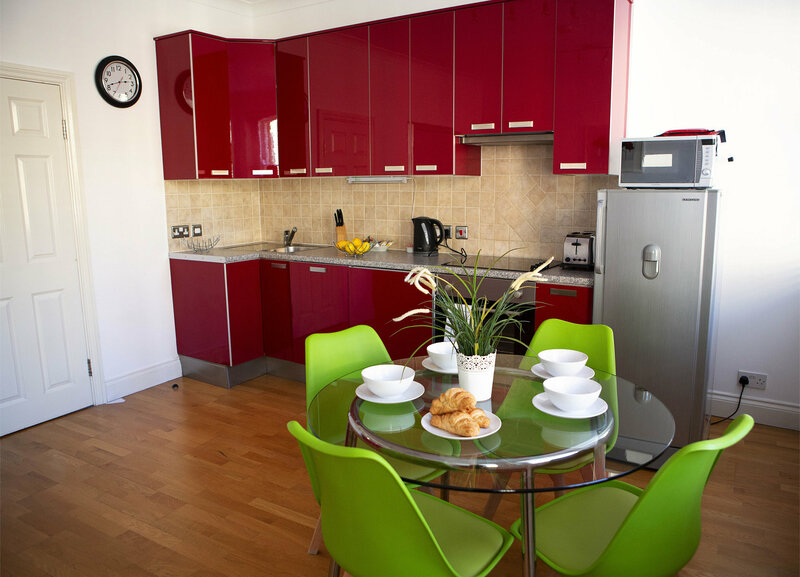 Each apartment can sleep up to four people – two in the bedroom and two on a comfortable sofa-bed in the lounge area. These areas also contain a table, four chairs and a flat-screen TV. 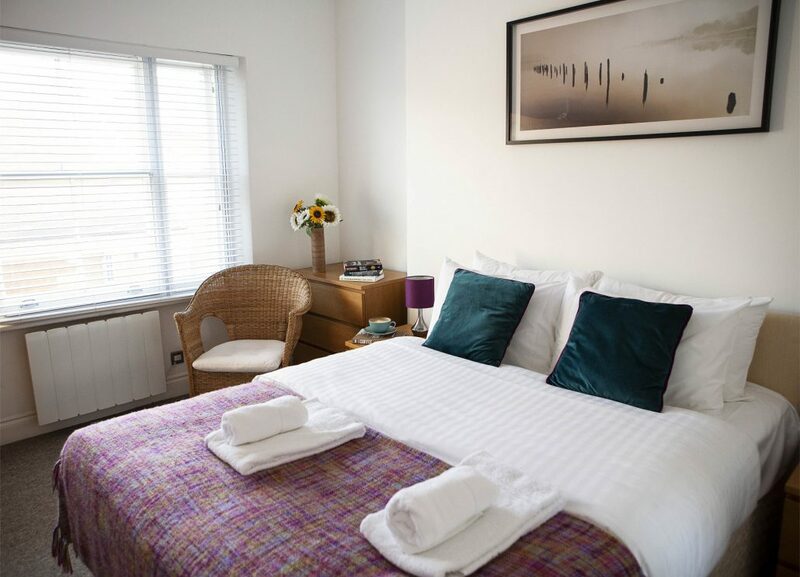 A fifth person can stay in apartments 1 and 2 with an optional fold out bed (£40 per stay). 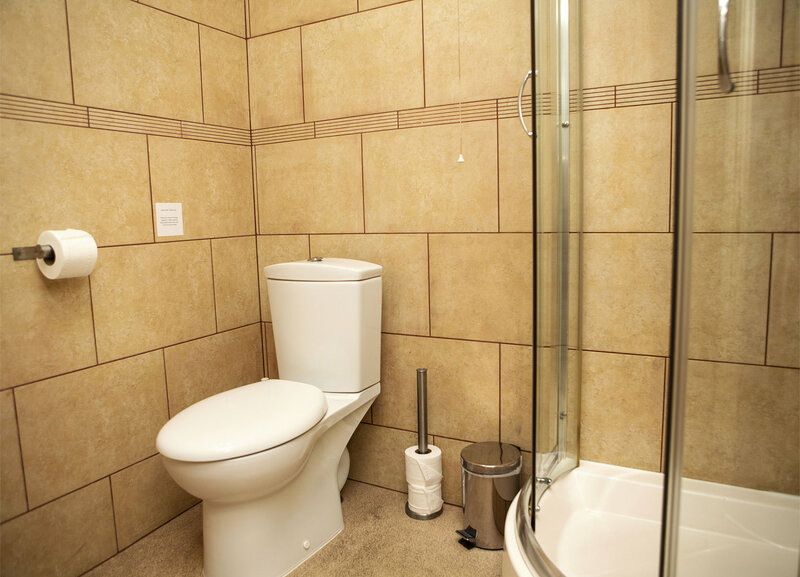 Our flats all have modern shower-rooms (shower, hand basin and toilet) and fully fitted and equipped kitchen facilities. Covent Garden houses the London Transport Museum and most of London’s tourist attractions- including the London Eye,- lie within easy travelling distance. The area contains a very large number of old pubs as well as a wide variety of restaurants bars and cafés to suit every taste. There are also several supermarkets for those who wish to cater for themselves. 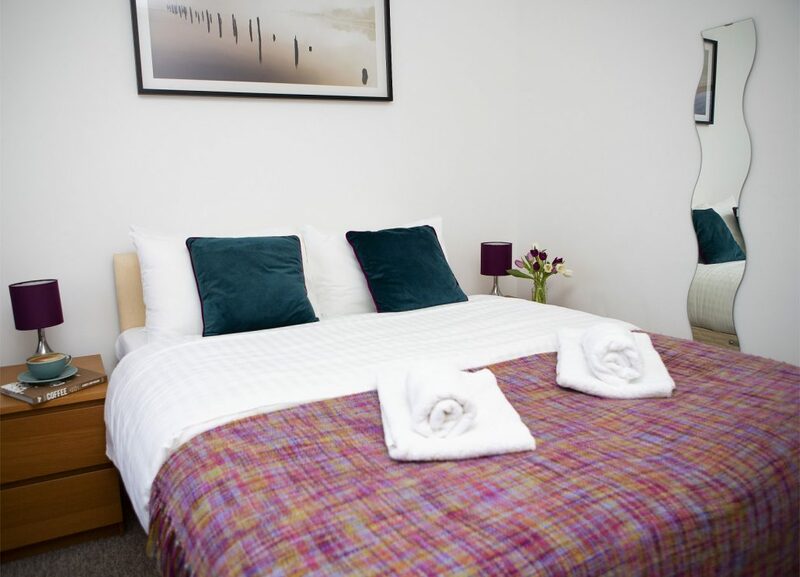 Our apartments all lie within a few minutes’ walk of either Covent Garden (Piccadilly Line) and / or Leicester Square (Northern Line) Underground stations as well as many public bus routes. This luxury one-bed apartment is on the third floor of a small block of three holiday flats. Newly refurbished in modern neutral colours, this apartment has one double bedroom and one bright spacious kitchen/lounge. The lounge area contains a plasma TV and a 2-seater sofa-bed suitable for two adults. Covent Garden on the Piccadilly Line Tottenham Court Road on the Central & Northern Lines.